Full frame 35 mm in injection-molded plastic. Galilean finder. Shutter identical to that of the Smena-M, with new styling . 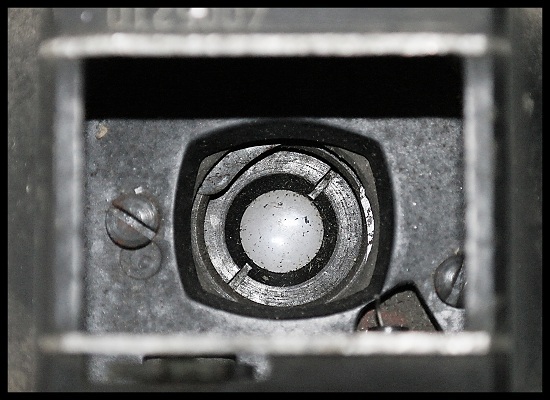 Shutter: 1/8s, 1/15s, 1/30s, 1/60s, 1/125s, 1/250s + B. 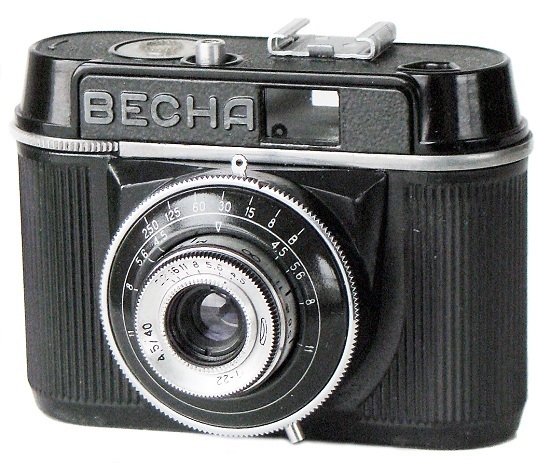 Quantity: ± 70.000 units (both with Vesna-2). PB0605. Seems to be a prototype version of cheap plastic Vesna camera. Released by MMZ in 1962-1964. Overall very good finish. No accessory shoe yet. White shutter's disk, lens "T-22M" painted black. Released in 1961-1962. 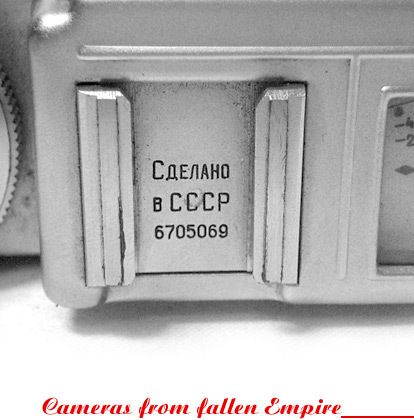 Camera opposite from Moscow Polytechnical Museum's collection (photo prepared by Mikhail Fokin, Moscow). 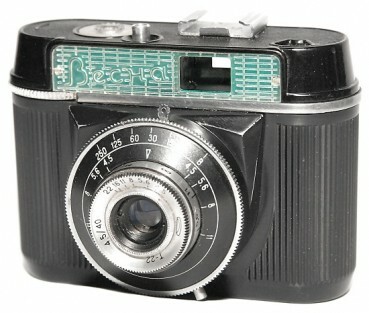 PB0605 - Vesna prototype camera. PB0610. 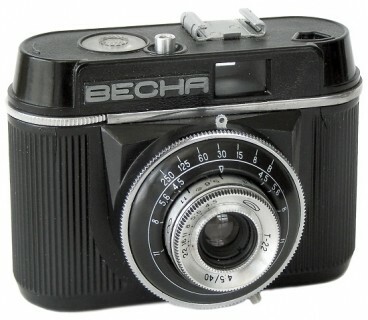 Seems to be the 1st productional version of the particular camera. 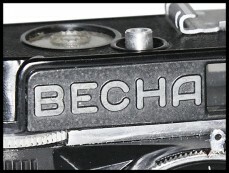 Vesna nameplate in transparent plastic characters on white background. An accessory shoe on the top plate already. Black shutter's disk, white "T-22" (not "T-22M" as on PB0605). 8-digits serial number with date prefix ("62" stands for year 1962). Quite common to find nowadays. PB0615. 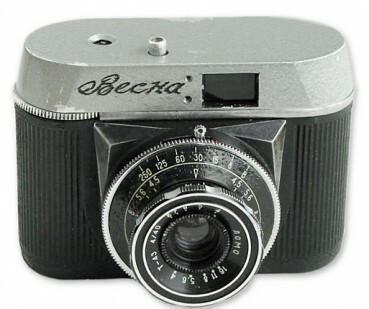 Camera identical to PB0610, but with Vesna nameplate in transparent plastic characters on red background. 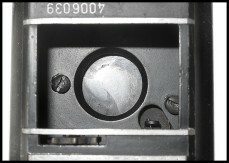 8-digits serial number with date prefix ("62" stands for year 1962). Quite common to find nowadays. PB0620. 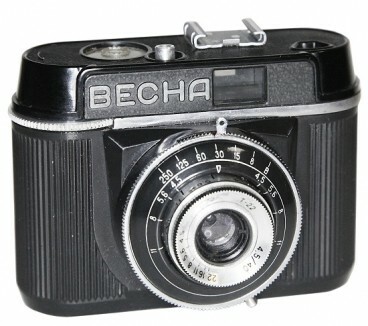 Less common to find version with Vesna nameplate in transparent plastic characters on green background. 8-digits serial number with date prefix ("62" stands for year 1962). No otherwise different from PB0610 or PB0615. 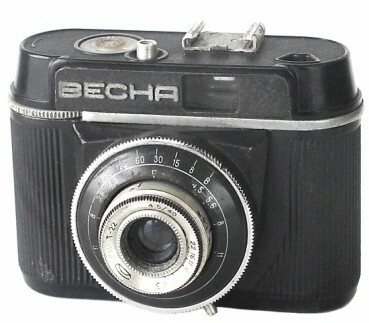 Camera opposite comes from Viktor Suglob (Belarus)collection. PB0625. Seems to be an earliest version of so called "Black" Vesna. Released in 1963. 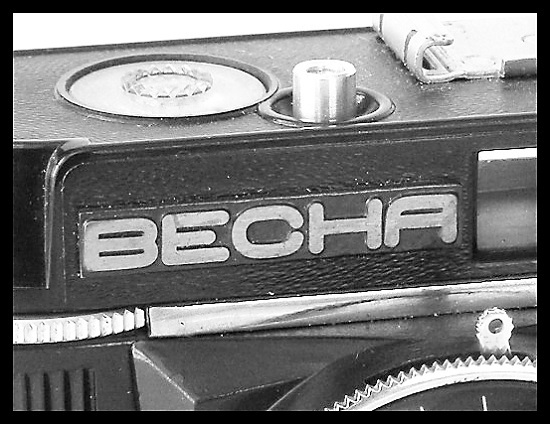 Black nameplate fixed with 2 visible screws. Date prefix in serial number yet. 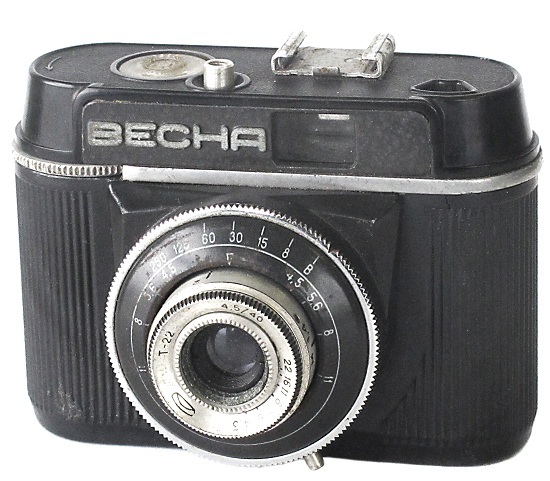 Very uncommon to find camera. Camera #63014697 from Juhani Halmeenmaki (Finland) collection. PB0630. 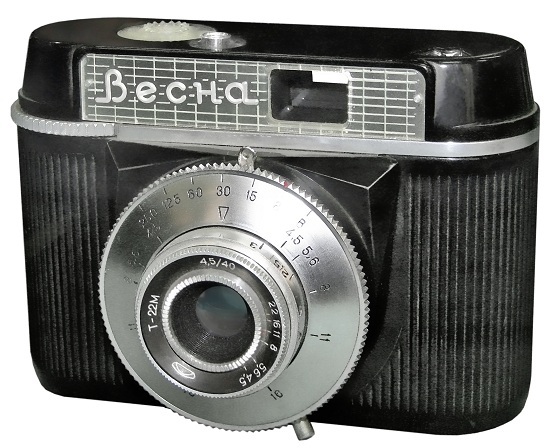 The regular version of black Vesna camera. 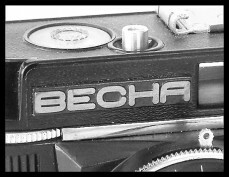 Raised nameplate characters. 7-digits serial number with first digit for date prefix ("4" stands for year 1964). Less common to find since the particular camera opposite has rectangular lens chamber, as on Vesna-2 cameras, not the round one, as on regular Vesna cameras (see picture below). PB0635. 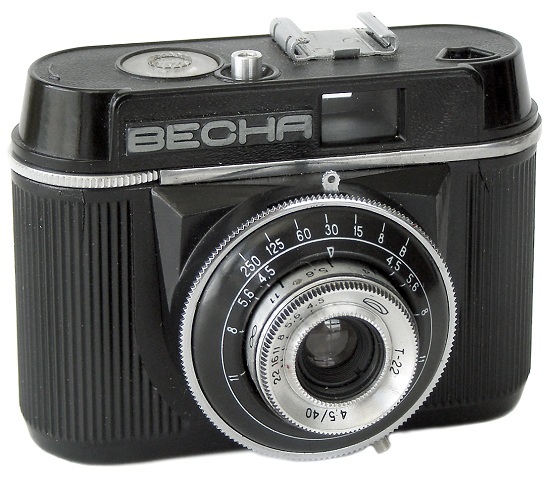 Camera identical to PB0630, but with regular round lens chamber (see picture below). Raised nameplate characters. 7-digits serial number with first digit for date prefix ("4" stands for year 1964). PB0640. 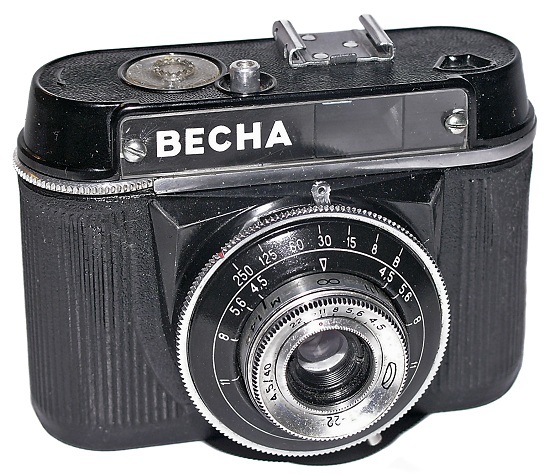 Camera identical to PB0635, but with bigger raised nameplate characters. 7-digits serial number with first digit for date prefix ("4" stands for year 1964). Less common to find. PB0645. Camera identical to PB0635, but has an additional platform for name markings (see picture below). 7-digits serial number with first digit for date prefix ("4" stands for year 1964). Quite common to find. 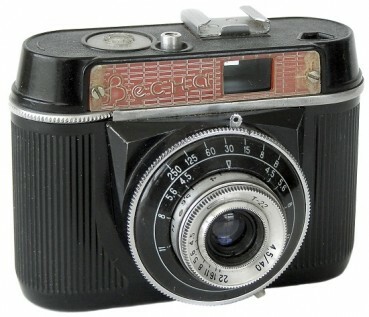 Camera opposite from Viktor Suglob (Belarus) collection. PB0650. 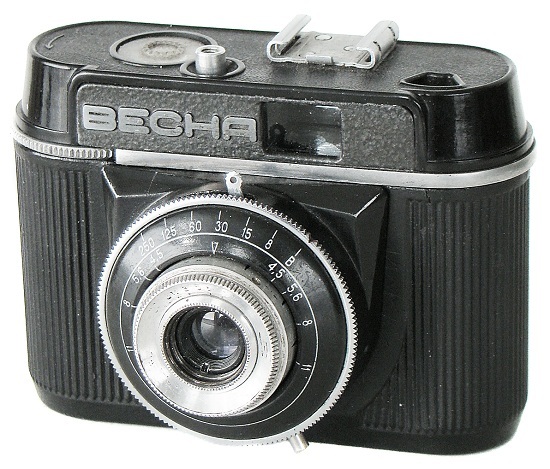 Camera identical to PB0645, but without an accessory shoe on the top plate. 7-digits serial number with first digit for date prefix ("4" stands for year 1964). Very uncommon to find. PK5455. Very interesting, but doubtful item with wrong late Lomo T-43 4/40 lens. 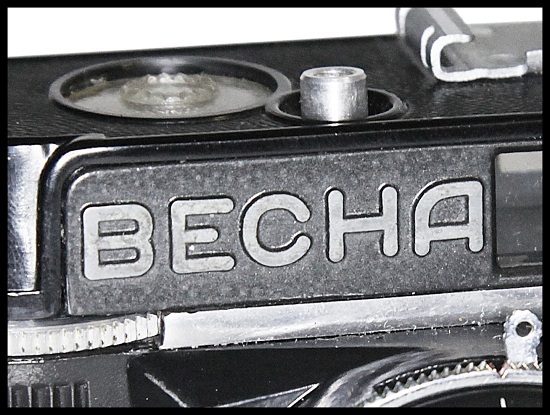 Shutter speeds: 1/8s, 1/15s, 1/30s, 1/60s, 1/125s, 1/250s + B. An exterior of the mentioned camera looks different from mass-market MMZ Vesna's. Item from DVD Technik Collection. 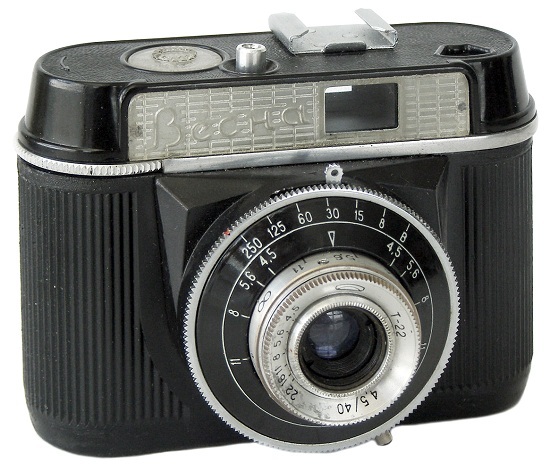 PK5455 - Vesna (prototype?) 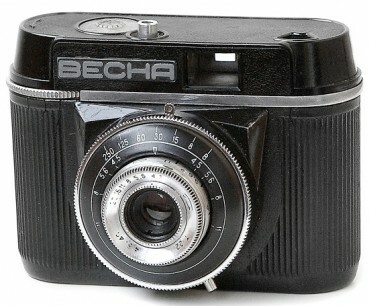 camera #62010549.